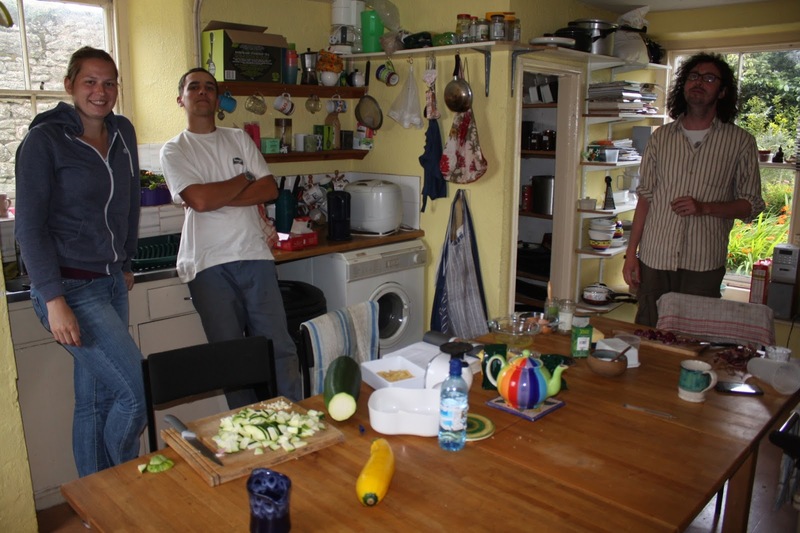 Many thanks to Mary and Bertrand, from Grenoble in France, for their contribution to the farm during their stay as wwoof volunteers in August. Mary cleaning eggs ready for boxing. 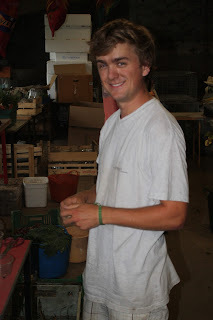 Bertrand packing garlic in the cow-shed. On Saturday 17th August, this year's brood of 45 turkey chicks came to live on the farm, where they will stay until Christmas Eve. 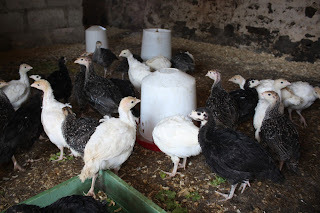 This year we have opted for 15 white turkeys, 15 bronze, and 15 blacks (as in previous years). They have moved in to their shed and are growing visibly. 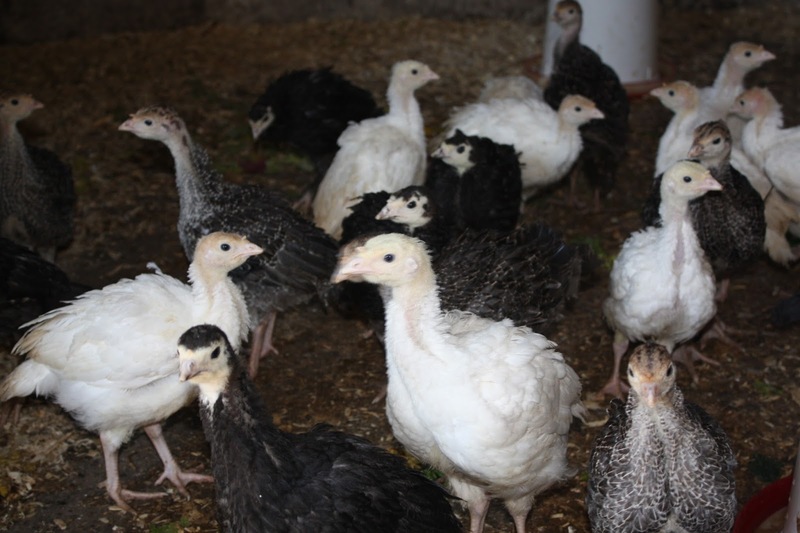 Please contact us on 788454 if you wish to reserve a turkey for Christmas! What's for sale on the farm gate today. 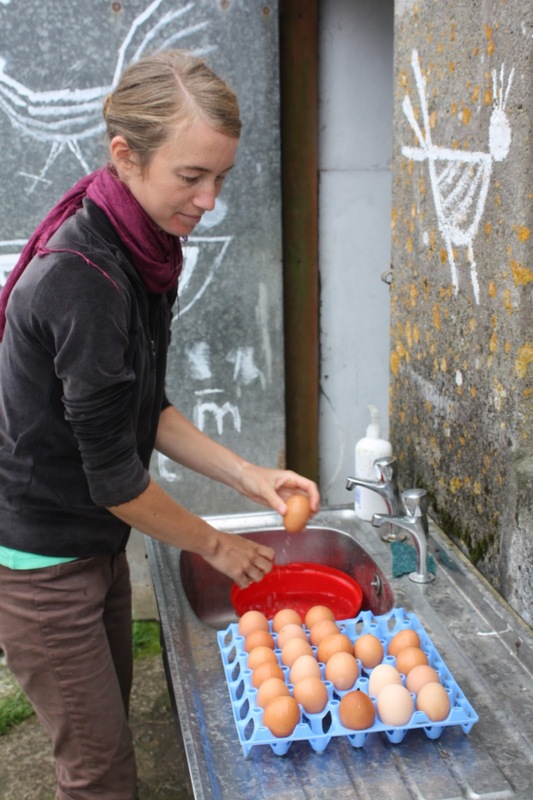 Free-range eggs, £1.50 for half a dozen. Runner beans, £1 for 200g. 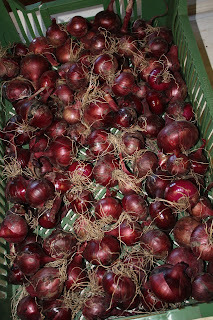 Garlic, 50p for 3 bulbs (small but tasty). 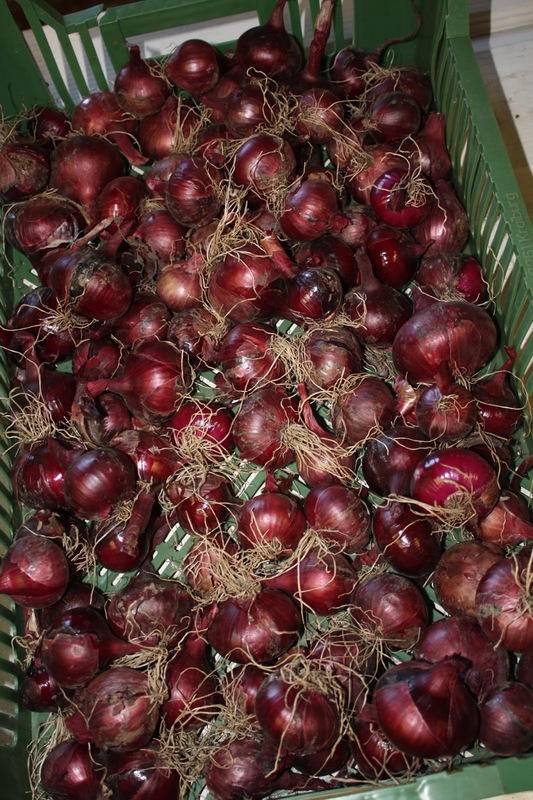 Red onions, £1 for 500g. New potatoes, "Maris Peer", £1.50 for 1kg. 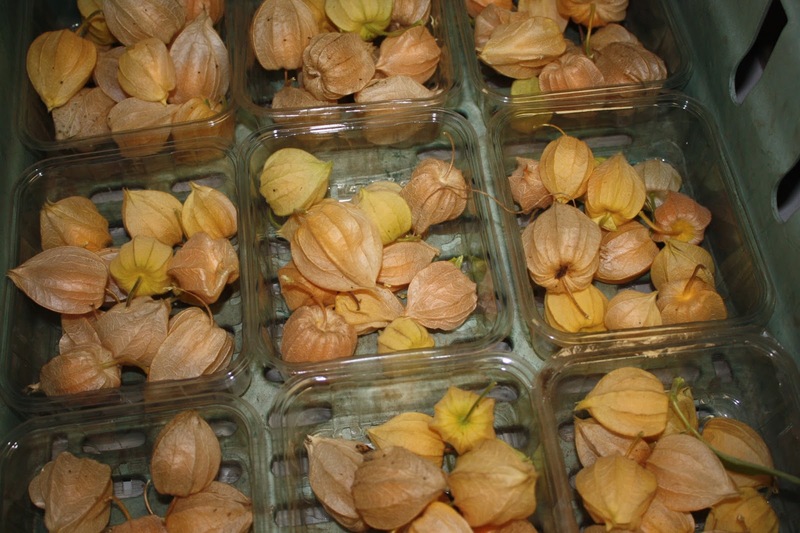 Physallis (Cape gooseberries), £1 for a punnet of 12 (delicious). 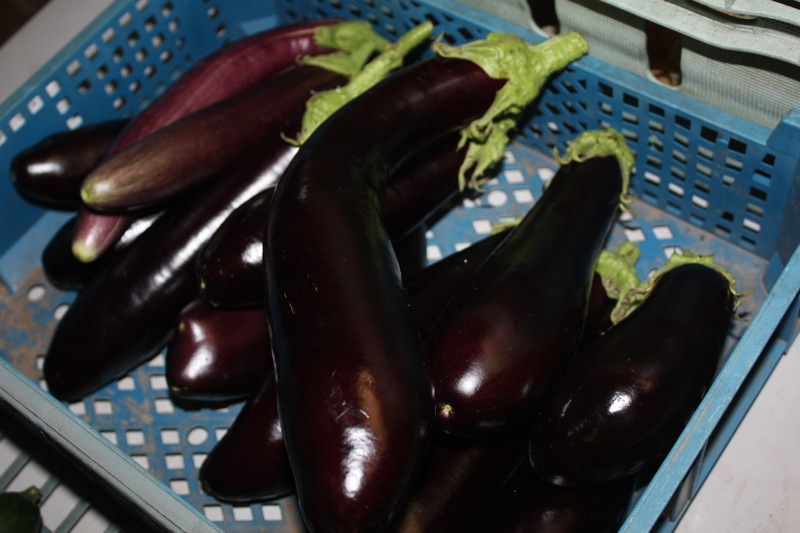 Current farm produce (or views from the packing shed). 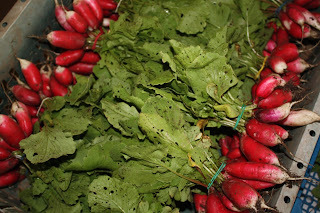 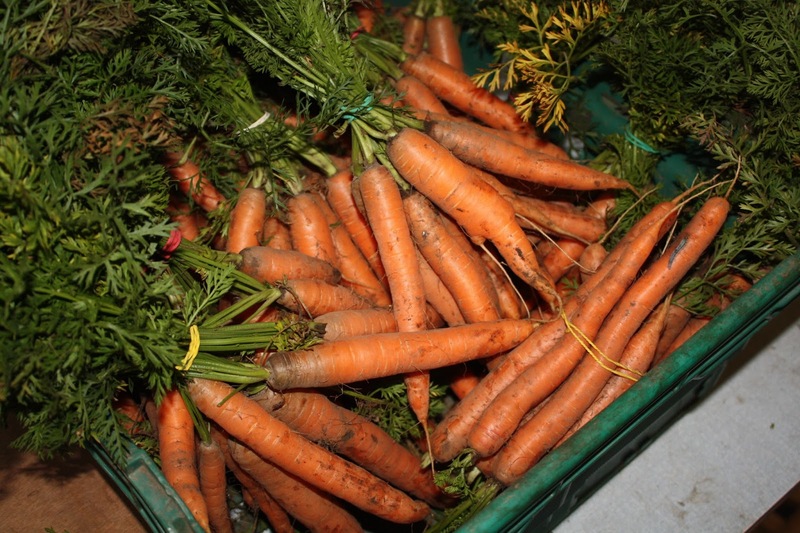 Over the past two days we have harvested over £400 of vegetables from the farm, half of which has gone into this weeks veg-boxes, and the other half has gone onto the gate stall or tomorrow's farmers market (St. Just British Legion, 09:30 till 12:30). Alice sorting and weighing beetroot. 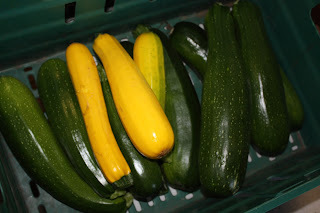 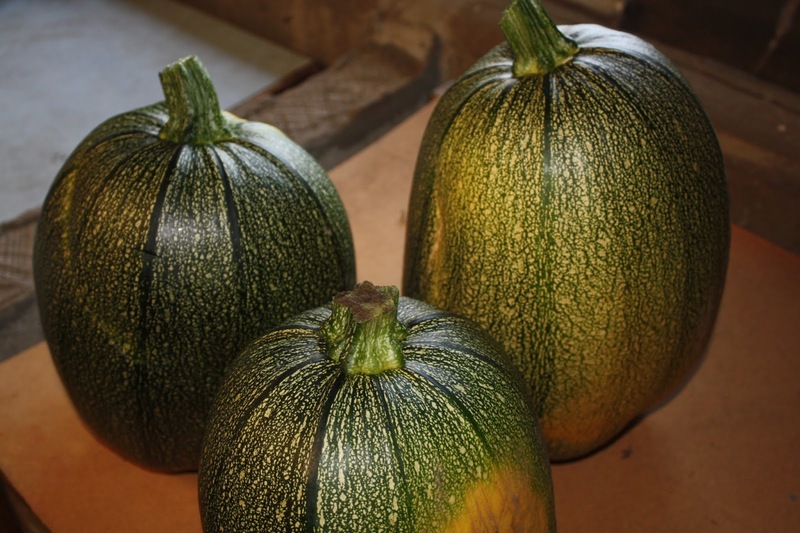 "Gold rush" and "Nero di Milano" courgettes. 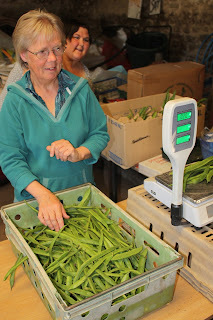 Jenny and Anne weighing and packing runner beans. 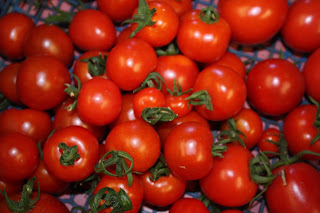 Some of the season's first tomatoes. 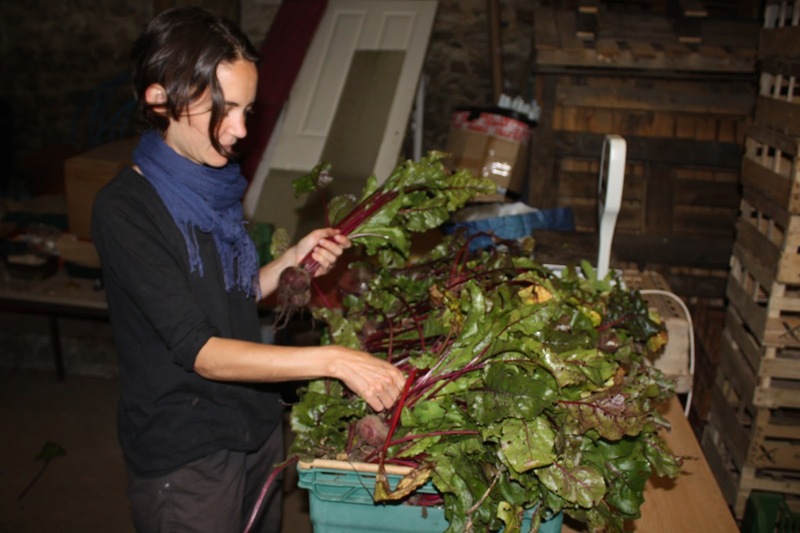 Also thanks to Pau and Pau, from Catalunya, for their ten days of work on the farm. Kathrin (left), Gerald (centre) and Paul (right) on cooking duty in the farmhouse kitchen. Many thanks to three recent WWOOF volunteers for all their hard work on the farm, we were sorry to see you go.